Home » All Posts » Essential Oils: Why They’re Not Essential. I read somewhere that ants hate peppermint. So when we got an ant invasion this summer I put some peppermint essential oil on a cotton pad and wiped it around my kitchen cabinet. It smelled lovely but the ants walked right over it. 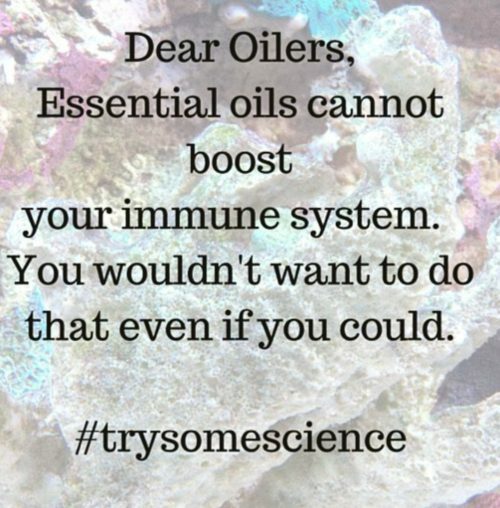 No, I don’t believe all of the claims made about essential oils, but I do enjoy their fragrance. Actually, it’s not ants that are repelled by the scent of peppermint – it is spiders. Have you noticed any spiders hanging out in your cabinets?